If you love Jason Aldean then we’ve got some exciting news for you!! The “Don’t You Wanna Stay,” singer is hitting the road once more in 2019, coming to the DTE Energy Music Theatre on Saturday 28th September 2019 with special support from Kane Brown!! It’s going to be an epic show – don’t miss out!! Tickets on sale now and disappearing fast – get ‘em while you still have the chance!! In 2010, Jason Aldean released his first, self-titled album, gaining him plenty fans and critical acclaim. His fourth album, “My Kinda Party,” signalled a huge breakthrough, charting in the top 5 of the Billboard 200 and to date having sold enough copies to earn Platinum certification no less than 4 times from the RIAA!! His most recent album, “Rearview Town,” released in 2018, went straight to the top of the charts, making it his 4th number-one album. What are you waiting for?? 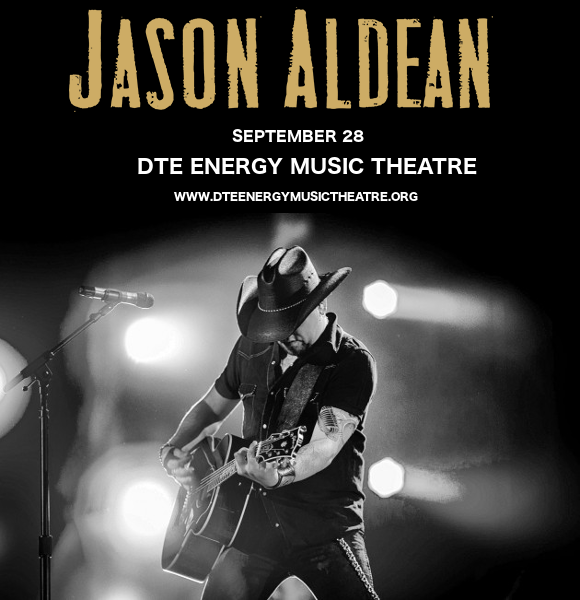 Grab your tickets today and get ready to experience Jason Aldean’s live show with your own eyes and ears! !